The longest flight in the world is the business class Singapore Airlines flight between Singapore and New York, which opens to question, which is the shortest one? We are talking about commercial flights of course. 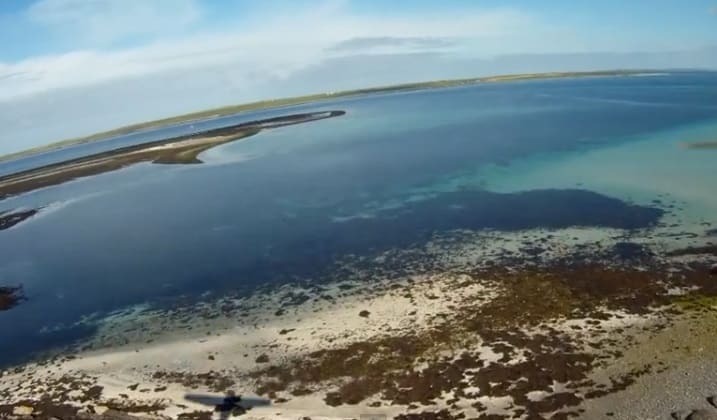 The answer is the Logan Air flight between Westray to Papa Westray in Scotland. Officially, it takes only 2 minutes and the distance between the islands is approximately 2.7 km. At about 7 EUR per km, this is by far the worst distance to price ratio. Well, short of a space shuttle launch, that is. All of the above are domestic flights. When it comes to international flights, the leading in the list is Gulf Air – Bahrain to Dammam (Saudi Arabia) duration 35 minutes. As Bahrain is an island country and Dammam is in Saudi Arabia, this qualifies as the worlds shortest international flight. A simple check shows that the air distance between both airports is about 86 km and in order to last 35 minutes, the average speed of the plain would be less than 150 kph.